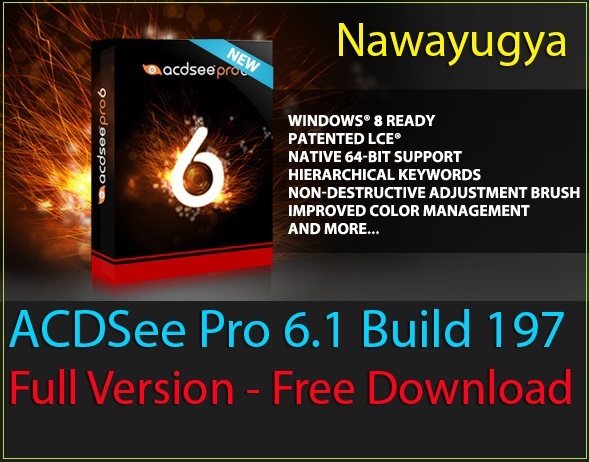 Packed with new features requested by professional photographers and advanced amateurs, ACDSee Pro 6 has everything you need to perfect your images, fast. Carry out digital asset management and all the essential tasks of your photography workflow, from import to final presentation, in one complete solution. Add in a powerful RAW processing engine, improved color management, and more non-destructive processing tools - all running in a native 64-bit application - and you’ll quickly see the difference in your images. Achieve stunning results, stay organized, save time. ACDSee Pro 6 gives you total photography control.